In the latter part of the 20th century, a major shift in theater buildings took place when they progressively moved from being bastions of culture to urban connective and popular performing arts centers (PACs). Gala Systems Inc. has introduced technology capable of modifying an auditorium’s layout with just the touch of a button. The growing trend of adding electronic spouts, colorful lights, and firework shows to these fountains has provided numerous cities with a boost in tourism and promoted the idea of international unity trough art and music. 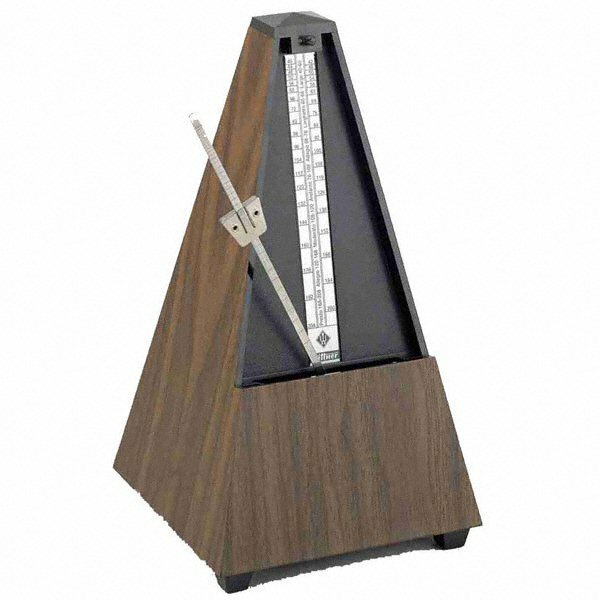 A metronome is a small mechanism that keeps time for musicians, but did you know that while German inventor Johann Maelzel is credited with this invention, there is actually significant evidence that he plagiarized the idea? The earliest known wind-chimes can be traced back to 1100 B.C. China. It was believed throughout Southeastern Asia that bells promoted peace and good health. Especially important in Buddhism, bells are a critical “part of honoring the Three Jewels or Three Treasures;” the Buddha, the Dharma, and the Sangha. Imagine a device that allows all musicians to participate in a musical ensemble, regardless of visual impairments. The haptic baton does exactly that by directly connecting the conductor to visually impaired musicians through radio signals. Fresh off of the heels of the Industrial Revolution, inventors like Ludwig Hupfeld found a niche creating innovative new ways to present music to the public. The Phonoliszt Violina was a groundbreaking invention with the capability to play three violins and a piano keyboard simultaneously and unassisted. Disgraceland, hosted by Jake Brennan, is a no-holds-barred podcast that delves into the private, and sometimes violent, lives of popular musicians. Not even a year old, the program has already earned a place as #7 on the “Top Podcasts” chart released by Apple Podcasts. You’ve heard it hundreds of times; the distant wailing that accompanies nightmares on the television screen. The not-quite-human sound has been haunting movie audiences and music lovers for more than forty years. It’s not a synthesizer, but the very real and unsettling call of the waterphone. Introducing the offspring of a saxophone and technology, the Infinitone. This new take on the saxophone comes from American composer-inventor Subhraag Singh, who won the first prize for his invention at the 2017 Margaret Guthman New Musical Instrument Contest hosted by the Georgia Institute of Technology (USA). The word “ocarina” comes from the Italian term for “little goose” due to its bird-like shape and nasal sound; it is also sometimes referred to as a globular flute. 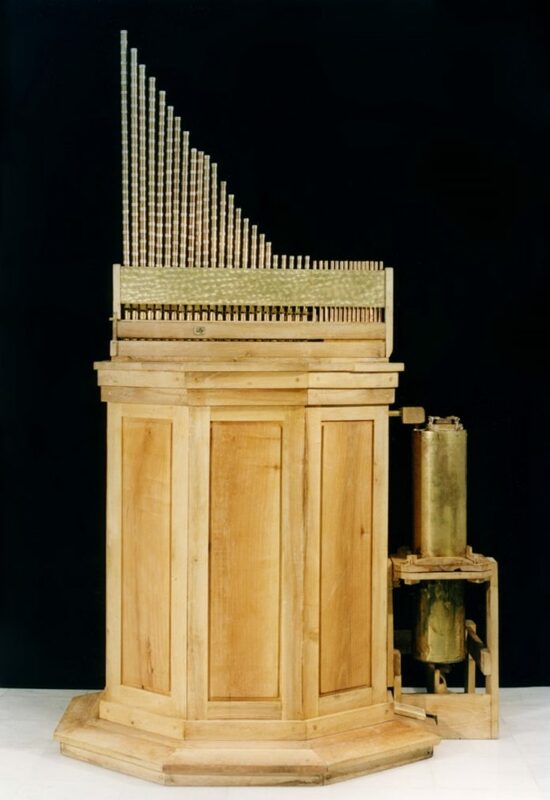 In its completed form, the machine stands approximately 6.5 feet tall and can play twenty-two different songs. It is operated by turning a hand crank, which sets into motion the two-thousand marbles contained within the invention on a series of custom tracks and funnels. The invention of printing capabilities had a profound impact on the music industry and on musical practices. Before mechanical publishing methods were developed, sheet music was hand written by only those with the knowledge, who could afford the material. Several music programs across the United States suffer from the same deficiencies; lack of instructional time, lack of funding, and poor equipment. With SmartMusic, directors can provide access to professional-level music tutoring to all of their students simultaneously. Modern conductors take pride in having a unique, hand-crafted baton (or several). In this article, we explore a brief history of the instrument and the baton craftsman's production process. Although the specific inventor is unknown, the earliest music boxes are traced back to the late 1700’s in Switzerland. The portable idiophones are comprised of only a few pieces; a rotating cylinder, a flat comb of prongs, and a handle or turn-key. Music has been a staple of human culture since before the implementation of language; it is our oldest form of communication. As the species made advances in technology, so did the processes for making and storing instruments also evolve. 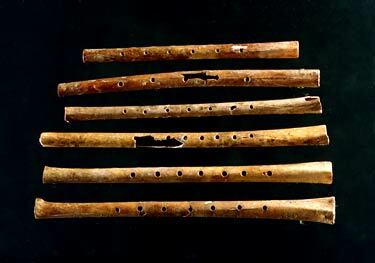 This article will focus on three of the oldest instruments still in use today; the flute, drum, and members of the string family. We spend so much time pouring ourselves into our band programs that sometimes we forget to allot time for our own improvement. What better way to assist fellow musicians, than to take over the radio with “mini-workshops” done by great educators?